Residence Inn Las Vegas by Marriott, 3225 Paradise Road, is located very close to the Las Vegas Convention Center. 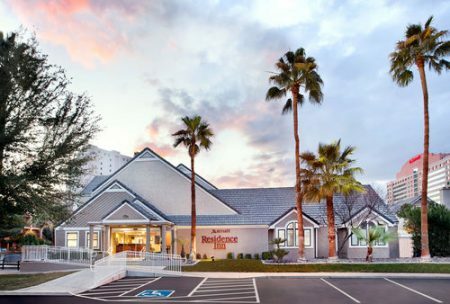 The Residence Inn Las Vegas Convention Center by Marriott is located very close to the Las Vegas Convention Center, while also being under 2 miles from the world-famous Las Vegas Strip. 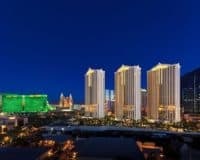 This makes it ideal for anyone who wants to have a productive stay in Las Vegas, while still being able to experience all the incredible things that Sin City has to offer. Providing business people and pleasure seekers with affordable self-catering apartments, which provide freedom and comfort during your Las Vegas stay. The hotel offers a limited range of amenities including free parking for those who travel with their own vehicle and easily accessible WIFI that can be found throughout the property. Alongside a complimentary breakfast buffet, which is the ideal way for you to start the day before getting to work. Families may also appreciate, the onsite BBQ, a great way to spend hot Las Vegas summers next to the refreshing outdoor pool and relaxing hot tub combination. The large accommodation comes in the form of spacious self-catering studios, replete with a microwave, refrigerator, stove, and oven, ensuring that you feel completely at home during your stay. This operates alongside a spacious living area that also doubles as an extra bedroom thanks to the handy sofa bed. 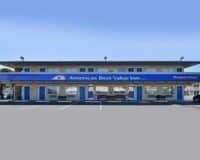 Along with all the usual things that you would expect such as clean bathrooms and comfortable bedrooms. This makes the Residence Inn Las Vegas Convention Center an excellent choice for anyone who wants to have an autonomous and affordable Las Vegas stay close to a number of important places within the city.